The world's largest video game collection has changed hands, and its old owner is $750,000 richer. Michael Thomasson's collection of over 11,000 games sold at auction for three-quarters of a million dollars to someone using the pseudonym "peeps_10091970." The bidding started at $150,000 but eventually landed inside the $700,000-$800,000 range Thomasson predicted it would. 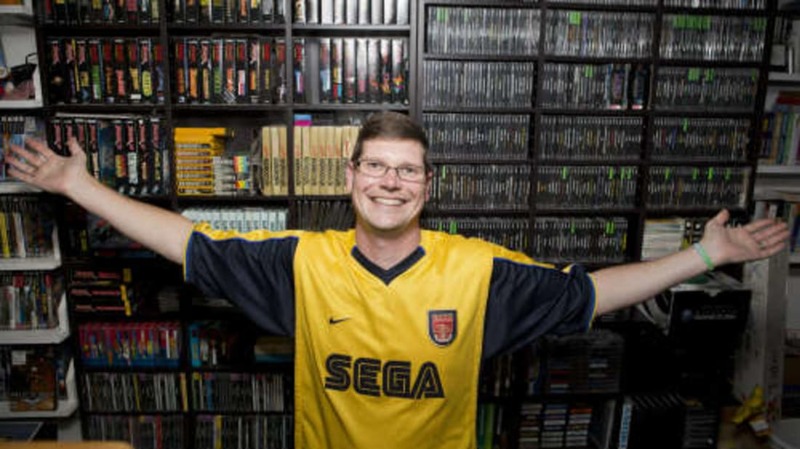 Michael Thomasson started amassing his hoard in 1998 when he managed a series of independent and online video game stores. In 2012, Guinness certified it as the world's largest video game collection. Check out the full list of Thomasson's games and systems here. As of this writing, they are checking to see if peeps_10091970's bid is legit (the user had no user feedback on the auction site). Perhaps Thomasson can pass the time by playing a video game or two.